With top-rated museums, outdoor adventure and plenty of political history, Missouri has a little something for everyone. Tied with Tennessee as the most bordered state, Missouri serves as an incredibly accessible destination for Midwestern travel. It’s a quick and easy jaunt over to the Show Me State for residents of Iowa, Illinois, Kentucky, Tennessee, Arkansas, Oklahoma, Kansas and Nebraska residents, all of which touch arms with Missouri. However, whether you’re a Missouri neighbor or not, the state has plenty of exciting features to offer visiting student groups. Outranking the rest, the Nelson-Atkins Museum of Art in Kansas City landed Yelp’s spot as best U.S. museum. Over 500,000 visitors each year flood through this free museum with roughly 35,000 works of art. Collections include European Painting, Asia, American Painting, Photography, Native American Art and more. The sculpture park planted on campus grounds holds the United States’ largest bronze monument compilation by Henry Moore, as well as Shuttlecocks by Claes Oldenburg and Coosje van Bruggen. 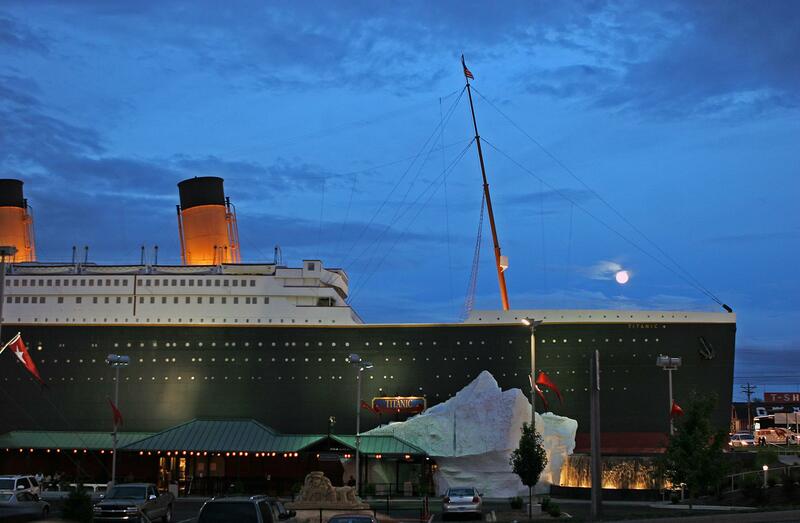 Visitors arriving at the Titanic Museum in Branson may just be fooled into thinking they’re boarding the RMS Titanic itself. The structure was built to model the iconic ship’s shape and appearance while standing at half-scale. Guests are welcomed aboard with a ticket and a new identity, each boarding pass featuring the name of an actual passenger. Students will learn about the ship’s history, the sinking in 1912 and tales of individual travelers aboard. With over 400 real artifacts and countless interactive features, the Titanic Museum grants visitors the opportunity to experience the Titanic first-hand. At the end of each journey, guests find out whether they’ve lived or died aboard, based on the real-life passengers they were assigned upon entry. Housing over 55,000 square feet of interactive exhibits, The Magic House offers a unique museum experience for younger student visitors. It became the country’s first totally participatory museum designed for children when it opened its doors in 1979 and has earned national recognition for its out-of-the-box educational experiences. The St. Louis-based non-profit hosts new exhibits and events throughout the year. The Children’s Village has become a fan favorite where kids can stock grocery store shelves, serve in the restaurant and fix cars all in their own pretend community. The Magic House employs certified teachers as museum guides. These on-staff educators aim to provide both an academic and creative experience for students as they showcase museum features ranging from art to math. Along with The Adventures of Tom Sawyer, Mark Twain published five other novels referencing what is now known as Mark Twain Cave in his hometown of Hannibal, Missouri. 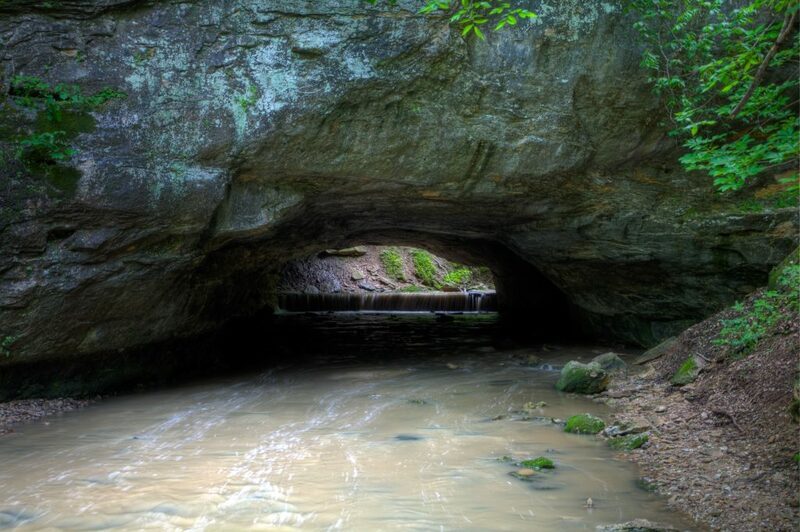 The Show Me State’s very first show cave holds a long history, even serving as a hideout for the 19th century’s most notorious criminal, Jesse James. The first guided tour came in 1886, and almost a century later, it became recognized as a National Natural Landmark. Today, Mark Twain Cave offers hour-long guided tours for students to learn more about the fascinating history behind this natural gem. Just a 4.1-mile drive from the University of Missouri campus in Columbia and within the grounds of Rock Bridge Memorial State Park is the Devil’s Icebox. Following a hike down Devil’s Icebox Boardwalk, visitors will find themselves at the main event, which features an underground stream and a cool 56-degree temperature year round. Groups can explore the park independently or enlist Wild Cave Tours to guide them through. Once guests have checked out the Devil’s Icebox, there are plenty of other hiking and biking trails, picnic areas and scenery to explore. 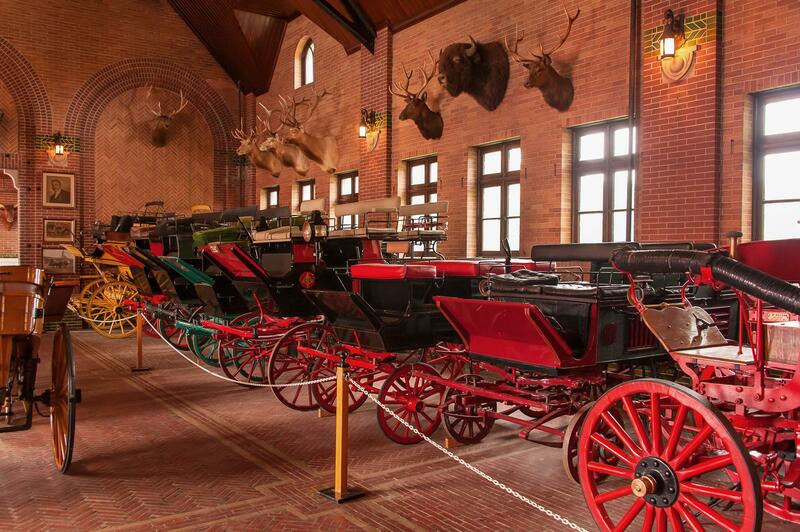 Grant’s Farm, the historic home of the Anheuser-Busch family, has become a popular family-friendly destination. The land, which was named after one-time owner Ulysses S. Grant, has since become an animal reserve and park. The facilities house an array of animals, including buffalo, elephants, camels, kangaroos, donkeys, goats, peacocks and the company’s trademark Clydesdales. Across the property, visitors will find all sorts of attractions with rides, shows and animal exhibits. Whether U.S. Grant’s restored cabin ignites your interest or you’ve got your eye on visiting the Tier Garden for an up-close animal encounter, Grant’s Farm is certainly not lacking in excitement. St. Louis’ 1300-acre Forest Park welcomes 13 million visitors each year and has been recognized as one of the greatest urban parks in America. Park grounds include the St. Louis Art Museum, St. Louis Science Center, Missouri History Museum, the Muny Amphitheatre and the St. Louis Zoo. 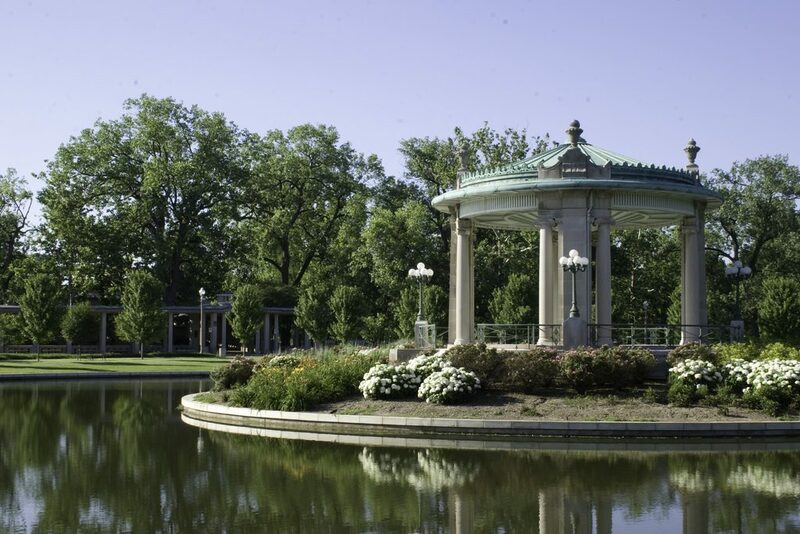 Among the site’s many attractions, this St. Louis fixture has also become a popular spot for exploring, picnicking, bird watching and more. Each state boasts a unique political presence and Missouri’s is no different. Jefferson City, named after American founding father Thomas Jefferson, is home to the Missouri State Capitol and includes two legislative chambers, offices of the governor and lieutenant governor, state auditor and other administrative agencies. It’s the optimal place for students to learn more about state government. 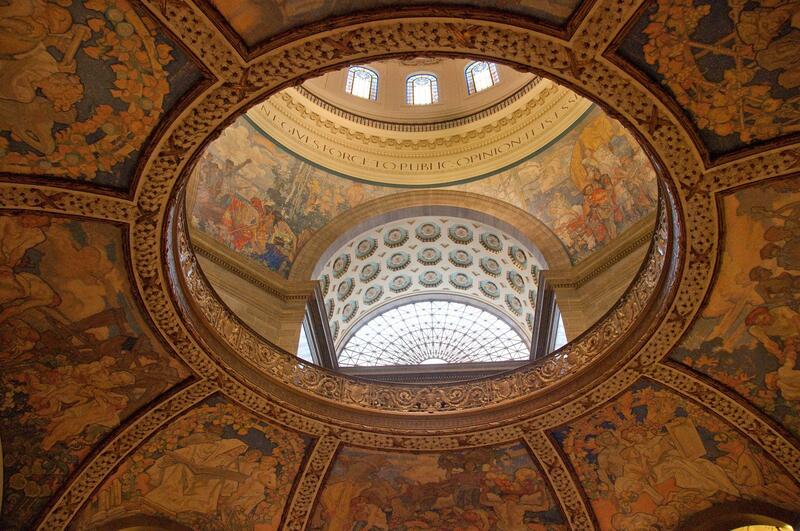 Guides introduce students to all of the ins and outs of Missouri’s political system on 45-minute tours offered daily. Native Missourian Harry S. Truman lived much of his childhood in Independence, and despite going on to achieve great political success as president of the United States, he remained true to his roots. The Harry S. Truman National Historic Site commemorates this great American leader. Guided tours are offered for guests interested in visiting Truman’s home, and audio tours are available for downtown Independence and Truman’s neighborhood. Also located in Truman’s hometown visitors will find one of the thirteen presidential libraries, the Truman Library and Museum where they can learn more about both his life and presidency.